This three bedroom apartment in Barcelona is located close to the Arc de Triomf. This area is the perfect base for those looking to explore the Catalan capital. Visitors will be able to enjoy easy access to historic downtown and the city centre along with the beautiful beaches and all of the top sights in and around Barcelona! There is one double bed, three single beds and one double sofa bed in this apartment, making it ideal for families or groups of friends visiting the Catalan capital. The bathroom features a bathtub/shower. Guests are sure to feel right at home with a welcoming design and comfortable furniture throughout. The living room is furnished with a large sofa and a TV, the ideal spot to relax after a day sightseeing. From this room, guests will find a balcony. For those who need to get in touch with friends and family, an Internet connection is also available. For budding chefs, there is a well-equipped kitchen, ideal for preparing some Mediterranean inspired dishes! 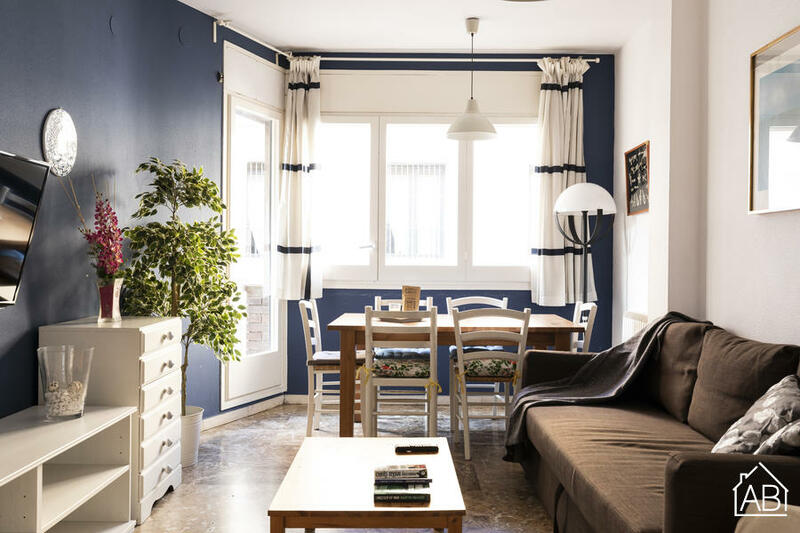 For those in search of a comfortable place to call home during their trip to Barcelona, this lovely apartment is a wonderful choice, all year round!